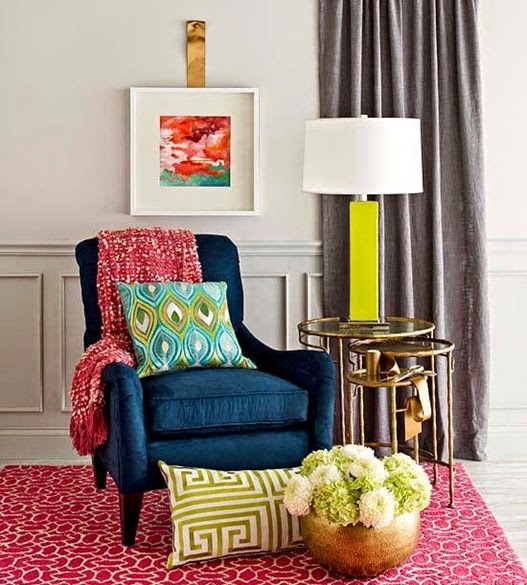 This cozy sitting nook incorporates several of the elements and principles of design. It has color, pattern, texture, balance, proportion, scale, depth, dimension, and repetition. The color contrast and the use of metallic elements make the space more interesting. It may be a little nook, but it carries some big design impact!! !